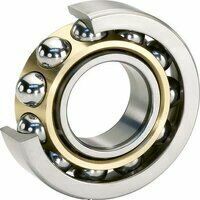 View our range of angular contact bearings including SKF brand. We have both single row and double row type in many different sizes and styles. They are great for high-speed and high precision applications such as agriculture, chemical and other general engineering applications. If you cannot find what you need please call us and we will do our best to locate what you want.